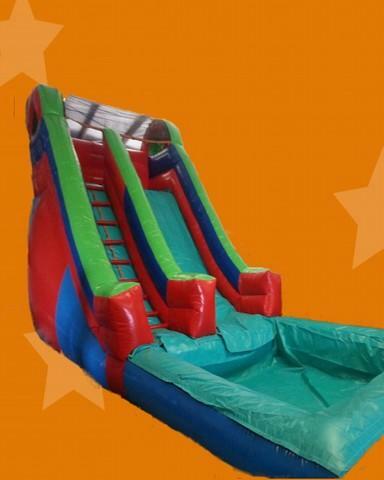 15 Feet water slide will rock your party!!! in this slide you don't have to exit the slide, and is so easy get in it climb and slide and do again and again everybody on your party will love this great water slide, and they will want to have on their next party remember we deliver fun!!! !